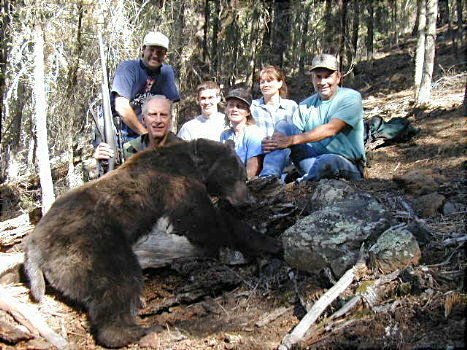 Pete, at 67 is still hiking hill and hunting bears. Drew and Rocky Herrick with Drew's bear. 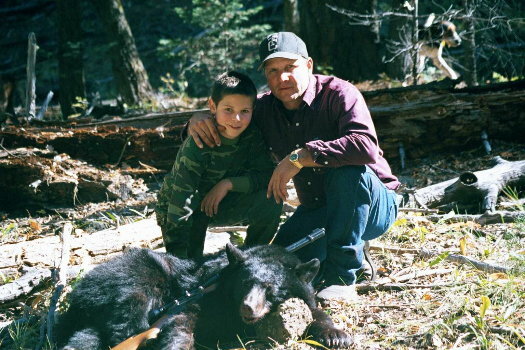 This father/son hunt was a blast. Young men, bring you dad and we will show you the best time of your life. Rocky says he wouldn't trade the video for any amount of money. 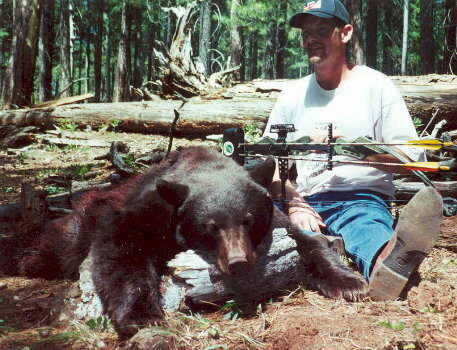 Chris with his P&Y archery bear from an early Arizona hunt. 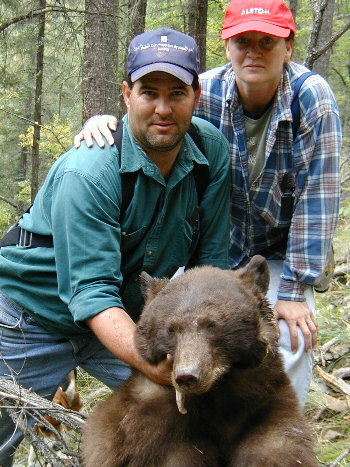 Tom and Donna with a New Mexico bruin. Wives, your husband will be welcome if you choose to bring him.